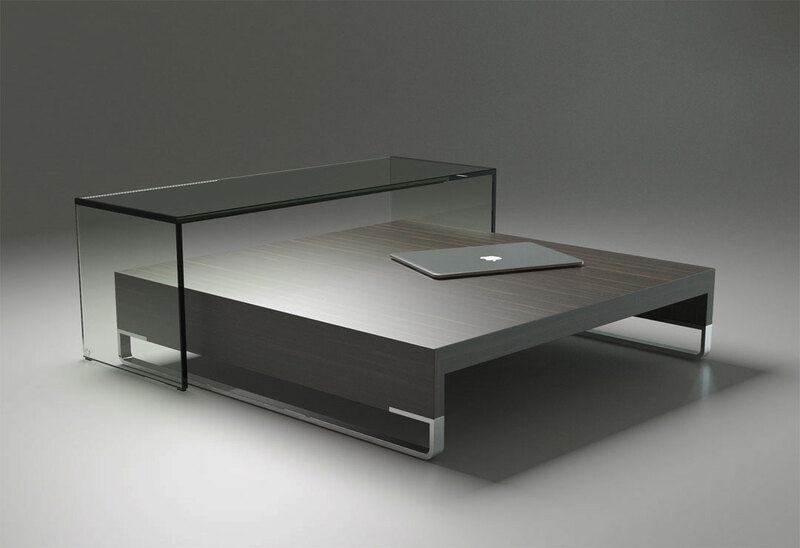 The coffee table combination is characterised by the contrast of solidity and simplicity of the individual components. 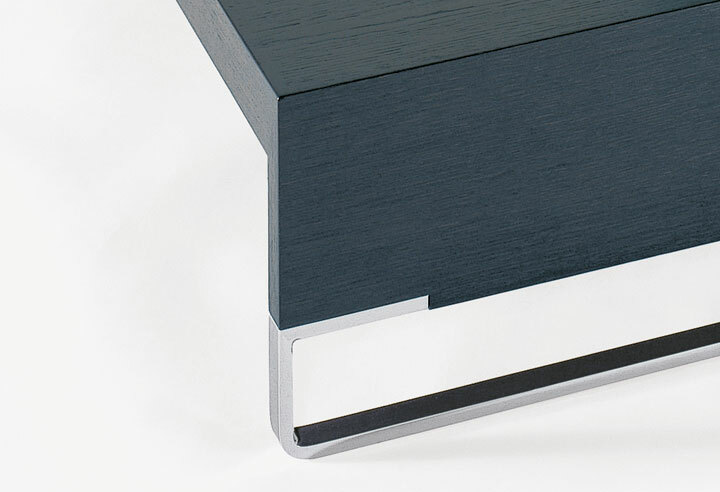 A differentially shaped U-profile table top either, lacquered or veneered on request, is supported by elegant imbedded polished chrome runners. 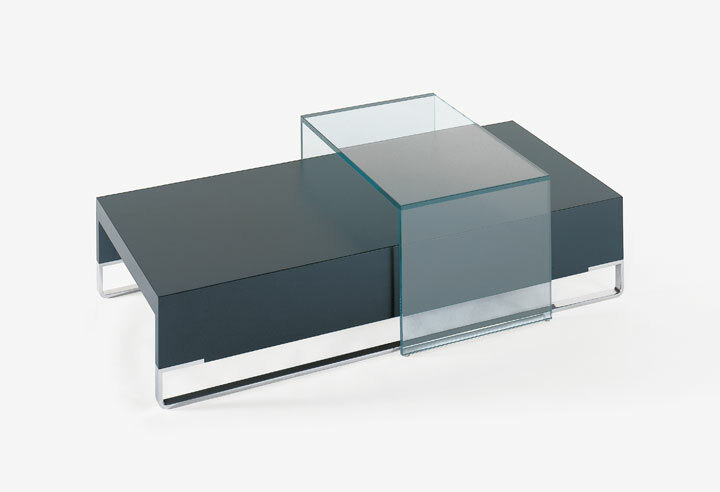 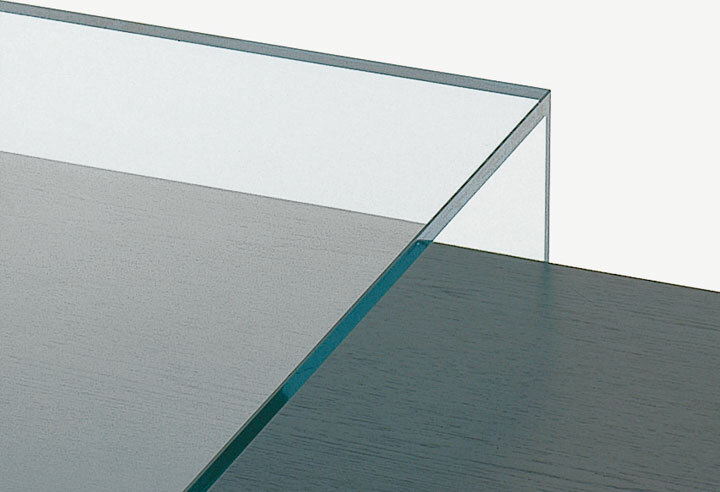 The movable glass bridge is suspended above the main table, which provides for a wide formal and functional variety.